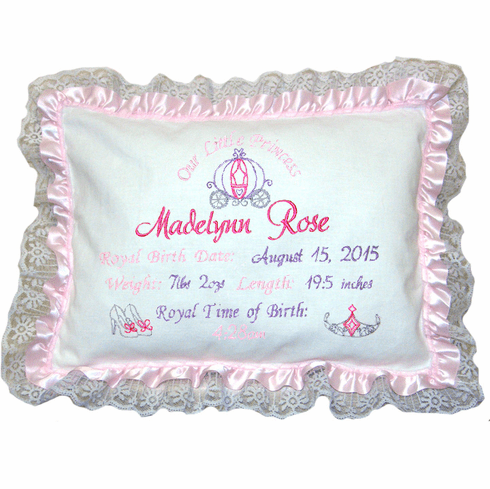 This sweet little birth announcement pillow is the perfect gift. 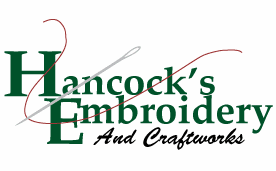 It is made with a cotton linen blend fabric that is sure to hold up for years to come. This design "Little Princess" is one of our "New" designs. It has a precious little carriage, slippers and a tiara for the designs. It is embroidered with all of the important birth information of course and trimmed with light pink ribbon ruffled lace on all four sides. This item is not meant to be a toy, do not put pillows in the crib with baby.